Still stuck in his small Central Pennsylvania hometown, Ilya Stern is used to feeling like a disappointment. After his high school girlfriend, Jennilynn, drowned, he married her sister, Alicia, only to divorce a decade later. The business they started together is threatened by a luxury development—and Alicia has already sold her stake. Now that Babulya, Ilya’s gentle Russian grandmother, has died, there’s no one left who believes in him. Or so he thinks. Theresa Malone was Ilya’s stepsister for only a year, until his mother threw her pill-popping father out of the house in the middle of the night, forcing teenage Theresa to follow. Now she’s returned for Babulya’s funeral—and to facilitate the quarry-development deal. As she tries to convince Ilya to sell, she realizes her feelings for him have ignited—from sisterly into something more. 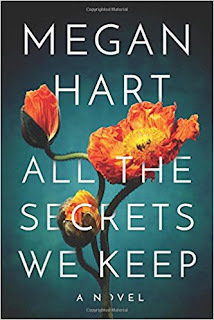 Review: All the Secrets We Keep starts off after the first book ended. Ilya and Theresa take center stage in this installment and proved to be more interesting than Alicia and Niko. Ilya's teenage girlfriend died and he married her sister on the rebound. While the marriage did not work out, the two remained business partners until Alicia sold her stake in the company to a development company. Ilya feels betrayed and it trying to hold onto his business, which is the only thing he believes in. Theresa lived with Ilya and Niko for 6 months as a teenager before being kicked out in the middle of the night with her drug addict father. She's in a precarious financial situation and needs Ilya to sell desperately. I really liked Theresa as a character. I felt for her financial situation and how she was working to get out of it. I also completely understand her desire to keep things under wraps. Ilya was a frustrating, as he is someone who needs external feedback to boost his self esteem. 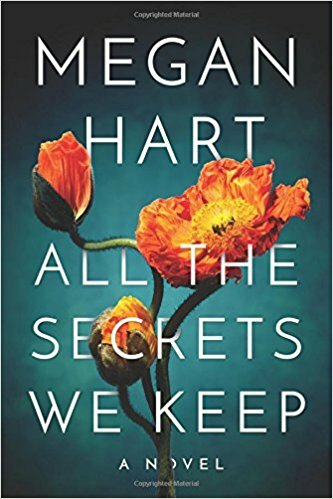 I didn't initially buy into them as a couple, but as the book progressed Hart handled their relationship well. I could have done without the chapters from Alicia and Niko's perspectives, it didn't add anything to this book.